If you want to use a hybrid camera for filmmaking then a cage is a must have piece of kit. 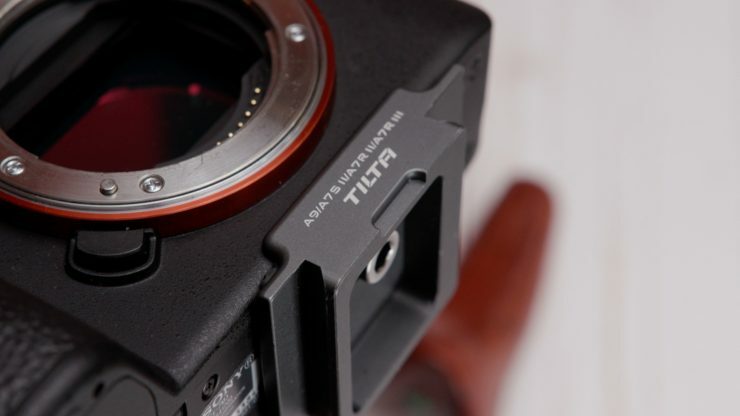 Tilta has a new updated version of the original a7 cage. 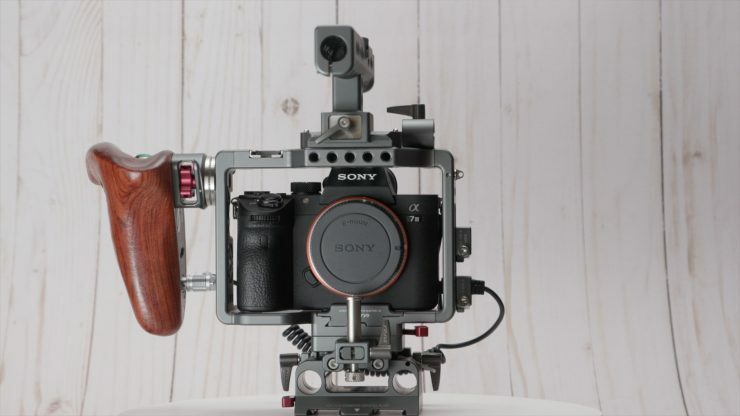 The new ES-T17-A V2 cage is designed for the Sony a7, a7 II, a7 III & a9 camera bodies. Since Sony has been using the same body design for the last updated models the cage will work with all of them. 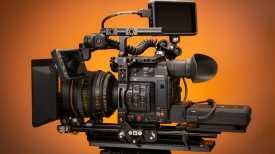 If an a7s III comes out with the same body design as the newest models it will fit as well however we won’t know about the port configurations so some of the clamps might not line up correctly. With that in mind, Tilta added cable clamps for the different models of the popular alpha cameras. 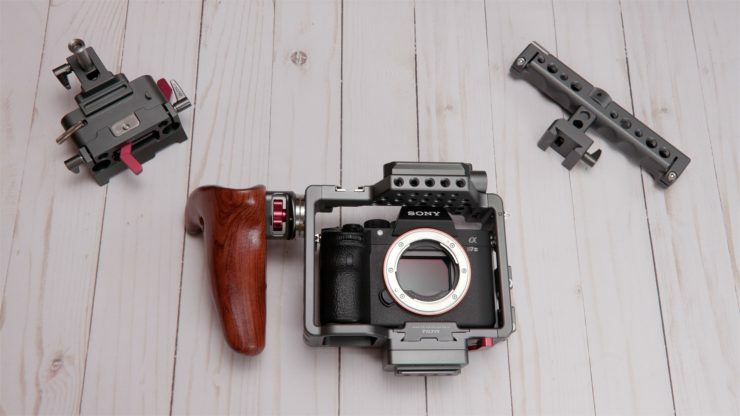 I’m sure if and when the a7s III is released Tilta will have those clamps available as well. One thing that stands out with the Tilta ES-T17-A V2 cage is how much is included in the kit. The cage itself comes assembled and has a strong rigid feel. The camera doesn’t directly attach to the cage. Instead, you use the included quick release plate for the camera model you have. The QR plate is a good design. It has a lip on the front that prevents the camera from twisting and that’s important because the plate attaches to only one 1/4 20″ screw on the bottom of the camera. 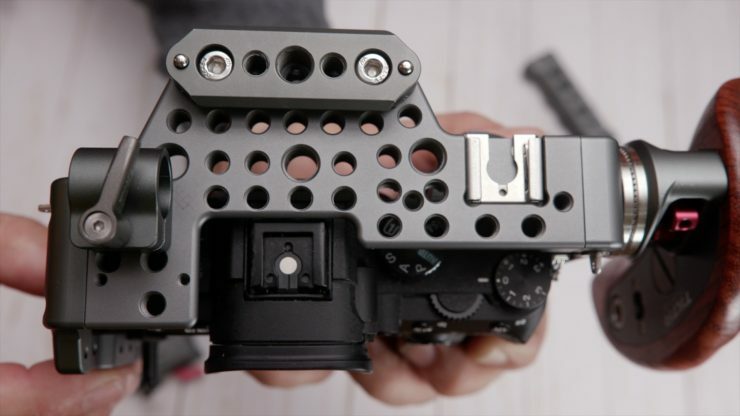 While this design allows you to take the camera out of the cage quickly it uses a nonstandard plate and that’s kind of a bummer. All my plates are Arca/Swiss-type. 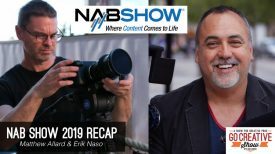 If I wanted to quickly remove the cage and use the camera on a tripod or slider I would have to swap out the plate so this defeats the purpose a little for the speed of removing the cage from the camera. The camera slides into the back of the cage easily and locks down. A spring-loaded safety catch is on the base to prevent the camera from falling out if accidentally unlocked. The cage itself is peppered with 1/4-20″ and 3/8″-16 taps plus one cold shoe. Unfortunately no ARRI standard accessory mounts which add anti-twist pin loc ports to the 3/8″ threads. Access to the cameras hot shoe and controls are good. The new models now trigger video record from the back of the camera making it so much easier than using the main trigger on the top. The side has an ARRI Rosette and tapped for another one right under it if you want to relocate or add an extra. On the input side, you have many options for clamps. Access is pretty good to all the cameras inputs. As usual, the plastic input covers can be annoying. The kit comes with a riser for 15mm rails. This attaches with a built-in “NATO” style clamp. Again with safety in mind, it has a built-in spring loaded stop. I do find the NATO style a bit of an issue. If you want to use the cage on a tripod without the rails then a QR plate has to be added to the bottom of the cage. The plate then has to be removed to add the rails. Not a fluid situation. A simple Arca/Swiss style would suit me better. I know not everyone uses the same system I do, however, I don’t know of a NATO-style mounting system for tripods either. I will say the kit all fits very nicely together. 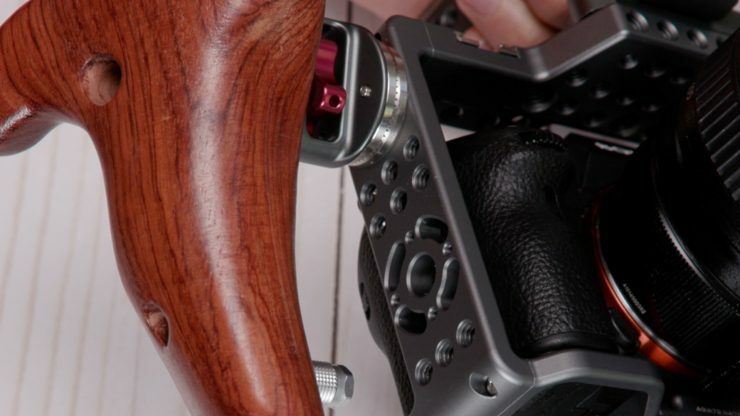 The cage comes with a Metabones adapter locking support accessory that attaches to the rail riser. This is nice because if you don’t use the adapter then simply don’t attach it to the cage. It works great if you are using a follow focus to avoid lens twist while pulling focus. 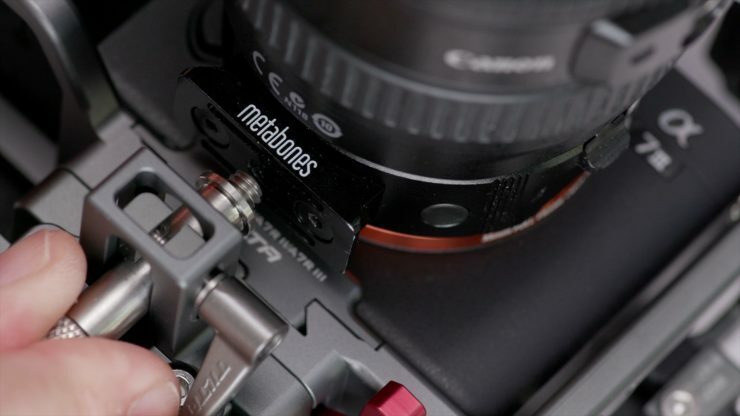 The adapter support screws into the bottom of the Metabones adapters 1/4-20″ tap on the support and clamps into place. It’s fairly quick to remove since no tools are required. To secure input cables the cage comes with an HDMI and micro accessory input cable clamps. Also included is a Micro to full-size female HDMI short cable. I just leave the short cable clamped into the camera and add a longer HDMI cable when I need to feed to a monitor. I’m more concerned about the camera’s port than the cable coming unconnected. Included is a top handle that has some cool options. It attaches to the cage with an included NATO rail. The handle can be rotated in four positions depending on what setup you want to achieve. 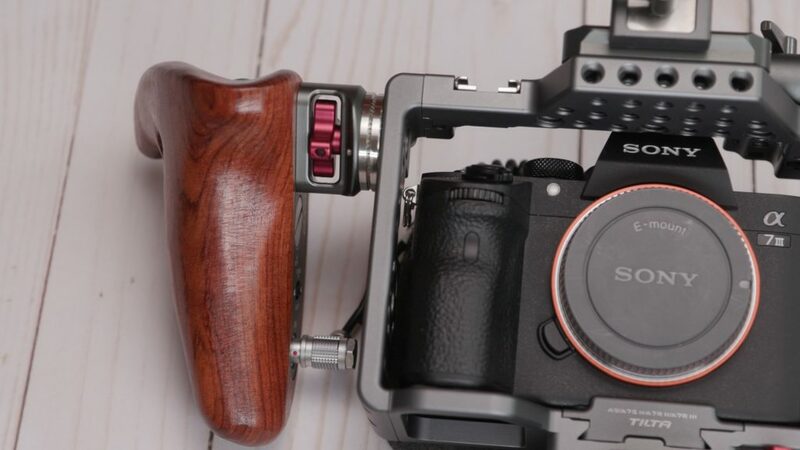 A lot of kit can be attached to the handle and having the option to turn it and lock it in four different positions make it more than just a handle to carry the camera. On each end of the top handle a 15mm rail receiver that uses an Allen wrench to lock down and one cold shoe. These mounts could be used to add a monitor mount or other rod mounted accessory. The handle is peppered with 3/8″ and 1/4 20″ taps. I would have liked to have a few ARRI accessory taps as well. The Tilta ES-T17-A V2 cage comes with a lot of extras. The wooden handle is a nice one. It clamps to the cage with the proven ARRI Rosette style system. This is also nice since it can be adjusted to a comfortable angle easily and secured tightly with an Allan Wrench if needed. I like this design of locking down the Rosette. It’s much tighter than I could get it by hand but make sure you have an Allen Wrench around if you want to unscrew it. It’s rough with your bare hands. Not only is the wooden grip comfortable but it has a record trigger too. Also nice is the Lemo connector that the cable has for a secure connection. The coiled cable from the grip plugs into the cameras multi-purpose input. I didn’t have to change any settings in the camera to activate the record trigger. Just plug it in and go. 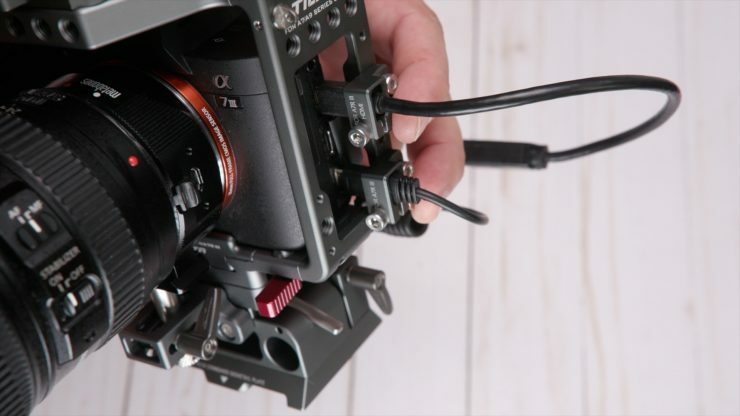 In this configuration, the coiled cable is the perfect length and keeps out of your way while operating the camera. 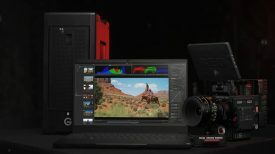 So many cage options out there for the a7 cameras and the prices range depending on how many pieces of kit are included. The Tilta ES-T17-A V2 a7 cage is a loaded kit. This makes getting up and running with it easy. I like all the components included and access to the camera’s controls are pretty good. This is a common problem since you want to have a snug fit but need to be able to get to everything you need on the camera. I didn’t find anything I needed to get to fully obstructed. The battery and media doors all open fully. The wooden grip with record tally is a nice touch. Using a Lemo connector adds that pro gear feel. The cage itself is a little on the heavy side but still keeps the system fairly compact. I would have liked if Tilta used a standard Arca/Swiss camera plate so I can use the camera without the cage. As of now, I have to remove the plate from the camera and add my own to use it with my existing system. If I’m not shooting video I prefer to not use a cage. I added an ARRI standard Dovetail clamp to the riser. I also don’t like the Tilta lightweight dovetail design. 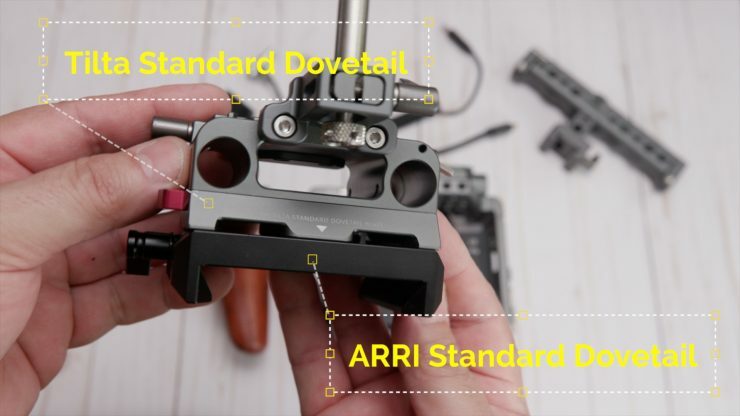 It’s not a standard ARRI style so if you already own ARRI Dovetail plates you can’t use them. 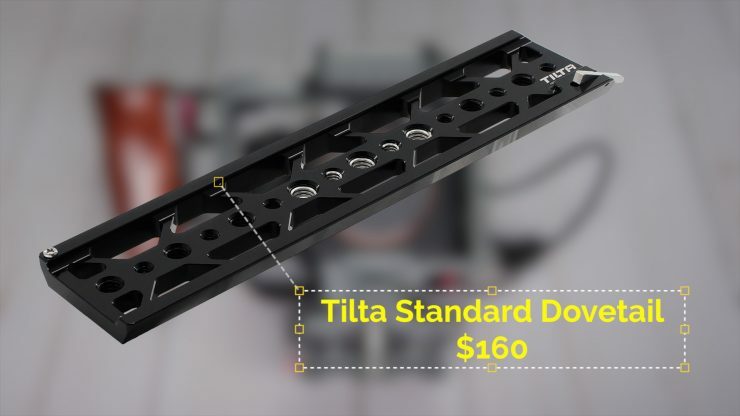 I feel many people using hybrids are not using the Lightweight ARRI Standard Dovetail anyways so if you want to use the Tilta Dovetail it will cost an additional $160 to get the Tilta version. They are not inexpensive. 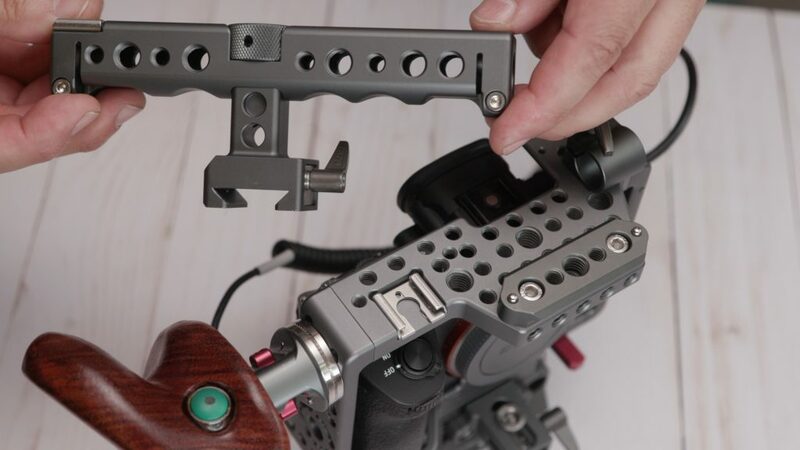 Again if you don’t use a Lightweight ARRI Dovetail on your other cameras and support then you will have to swap everything out if you are not using the cage. 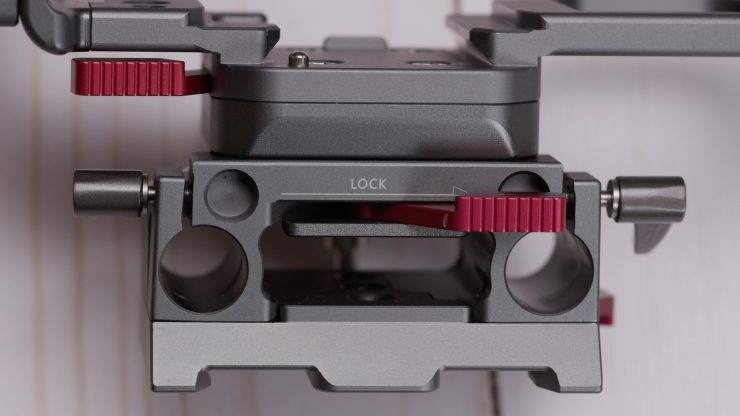 however, the bottom of the Tilta dovetail has multiple taps to add your own QR plate whether it’s a Manfrotto or Arca/Swiss type. For $500 USD, I think you get a lot for your money and no doubt will be spending a few more bucks on accessories to bolt on the cage. When shooting video with a hybrid a cage makes it so much easier and the Tilta ES-T17-A V2 a7 cage checks a lot of boxes.